On October 27th, 2012 the conference committee was proud to host the 5th Annual MTABC Conference with attendance of 82 people. Dr. Amy Clements-Cortes, CAMT president, gave a warm welcome from the Canadian Association of Music Therapy. CAMT generously supported this event and the committee was able to offer 5 bursaries to the MTABC members from Vancouver Island and the Interior regions. The conference was held at Capilano University who continue to support and sponsor the event by providing the location and other supplies, including printing of the conference program. This year’s conference theme was “Moving the Profession Forward: Advocating for the Future”. The day was filled with incredible, eye-opening and relevant business model focused presentations which are often overlooked in our profession. 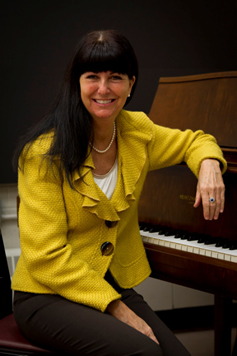 The keynote speaker Dr. Johanne Brodeur discussed how to use “Game Theory” to our practice and to nurture and sustain the relationships we create with our donors, supporters and clients, which is one of the essential elements to keep music therapy advancing. Patricia Lambert gave us engaging and dynamic talk about shifting our mind to business and entrepreneurship and an honest appraisal of what the business world entails from a non-music therapy point of view. In the afternoon, the concurrent sessions were given by Dr. Glen Grigg, who gave the presentation on how the regulation of music therapy will affect our profession with positive impact, and Laura Cross, who discussed the importance of music therapy in leadership role in the health care system, as we make small changes to be better leaders. We concluded with a self-moderated panel with Dr. Johanne Brodeur, John Mews and Brian Deo. The panel members shared their individual perspectives on how they began their careers and built their own practices. They also took time to answer questions from the delegates. It was truly a wonderful opportunity to hear the wisdom and honest opinions from these dynamic and motivated individuals. Our star sponsor, Roland Canada donated their valuable service by filming the conference which will be available on the website at a later date. Also, Roland donated a “Mobile Cube” for the raffle prize. Paul McCabe, CEO of Roland Canada, took time from his busy schedule to discuss Roland’s commitment and service to the music therapy community. We would like to thank everyone for your contribution to our exciting raffle sales, which raised $515! Chris Brandt, Executive Director from Music Heals, introduced this new charity and spoke of the developing relationship with the MTABC. Music Heal’s intent is to support our profession’s growth by being the “noise makers” and helping find financial support for music therapy clinical work in BC and across Canada. Thank you to our vendors, Music Therapy Suite, She.Lee. Music and Grandharva Loka World Music Store, for introducing us to their fabulous products. Our gratitude to all the presenters, conference committee and board members, volunteers, delegates, sponsors and vendors who have contributed to this conference to make it a huge success! See you on October 26, 2013! Not an MTABC member? Consider joining to take advantage of other benefits offered to members! Not a music therapist? Join as a Friend member.Click here for membership information. Also, MTABC would like to thank Purdy’s Chocolate for their kind donation.